Daughter of Mattias Nilsson Kagg; Elin Gustafsdotter till Degeberg (Forstena) and Elin Gustafsdotter (Forstenaätten). Peder Svenske (son of Bengt Svenske, Tab. 3), to Rånnum. Shepherd chief in Väne after the father in 1588 and still 1600. Was dead in 1623. Married to Margareta Kagg, daughter of the ruler Mattias Nilsson Kagg (no. 68) and his 2nd wife Elin Gustafsdotter (Forstenaätten). Lennart. Rittmeister, (son of Peder Svenske, Swedish), to Säter in Eskilsäters parish. Ryttmästare. Was dead in 1626. Married to Elin Jakobsdotter, daughter of the unmarried rider Jacob Jonsson to Lång in Grums parish and Holmfrid Pedersdotter (Stårck) (Ramstad's genus)). Lieutenant Colonel Jens Peders son (Dahlepil, No. 663). Medieval frälsesläkt from Västergötland. Elders knew the ancestor is Sven Brynjulfsson (1450) to Todene (now great Berg) in Tådene Parish, which in the gun brought a bagghuvud but whose children adopted mödernevapnet (Sparre over the leaf). His grandson, Torsten lennarts Son (1561-1631) to Forstena in Tunhems Parish, was introduced on behalf of Oxenstierna 1625 (10/3-4/4) in the second class, the Class of knights, by drawing lots under the No. 5 present No. 2, and obtained the family name after the farm. His son Privy Council and Field Marshal Lennart Torstensson (1603-1651), was elevated in both baronial and Grevlig dignity 1647 5/2 at the Royal Palace of Queen Kristina, and was introduced in the same year 15/3 under No. 7 among counts, but Sword side 1727 20/12. Another branch of the dynasty was introduced in particular 1625 (10/3-4/4) in the third class, the Svenneklassen, by the draw under the current no 153 with the name Ulffana (after the helmet ornament) and with the same weapons as the Forstena family, but soon went on the sword side about 1633. The family descends on mödernet from the so-called Abjörnsönernas, and is thus befryndad with the extinct noble family of RAM AF Berga no 118. The family was previously extinct since the 1660 century. However, a 1990 in the National Archives found a letter from 1666 1/3 (E 3551, Ekebladssaml., 1: B), that Governor in Värmland and assessor in the Svea Court of Appeal Olof Christoffer's son (1563-1647) had a hitherto unknown, displaced son. He was the captain of the Närke and the Värmland Regiment Jon Olofsson Dahlman (killed outside Bremen 1675). He became the ancestor of the now living Ättekulla branch. 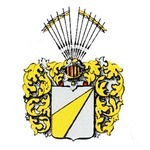 By order of the House of nobility 1992 15/12 was granted the introduction of the current Ättekulla branch of the Knights ' house pedigrees under the grandfather name of the Forstena family. Ättekulla members write themselves Dahlman, Wadekar and Järrel.